Kids can get the walls really dirty! We used an eggshell enamel paint to help hold up against the everyday wear and tear kids can put on the walls when they are having fun! More durable than traditional flat paint and also easier to clean. 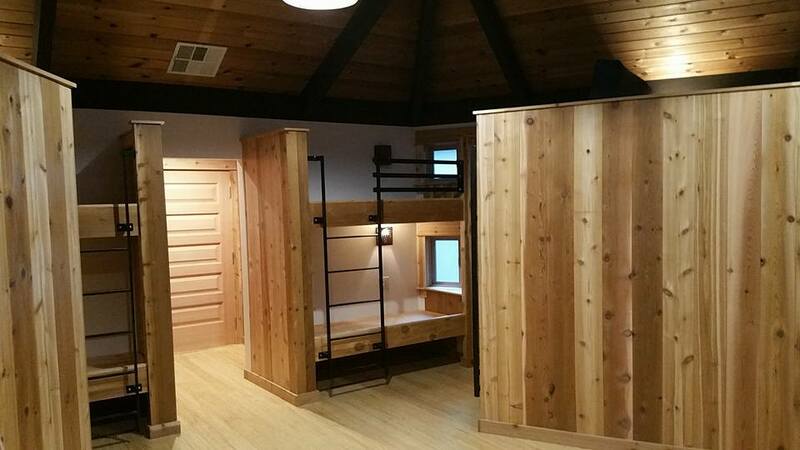 The bunks and trim were coated with Kel Thane II a durable and easy to use product!